The garage often serves as a dumping ground for old paint, broken toys, and boxes of clothes awaiting a ride to the local thrift store. Luckily, with the right storage, your vehicle doesn't have to squeeze into its dedicated space. Find what meets your needs in a handful of steps. Is it starting to seem like there’s no storage space left in your house? Is every closet, cabinet, and drawer totally crammed? Well, the solution to your storage woes may be as close as your garage. Sure, it’s already housing your tools and gardening gear, and maybe even your car, but the average garage can fit more boxes and bins than just about any other space in the home. It may be a messy catchall right now, but with planning, you can turn the garage into an efficient, well-organized household storage annex. If you get anxious even considering the prospect of dealing with the chockablock situation in your garage, take heart. This isn’t going to be a piece of cake, but with help from professional organizer Donna Smallin, author of The One-Minute Organizer: A to Z Storage Solutions, we’ve broken the task into a series of discrete, manageable steps. The process begins with clearing out the clutter and ends with implementing smart garage storage ideas suited to your needs. Corralling the chaos starts right now! Then list out zones you’d like to see in the space to organize items by task or interest. “Your pots, fertilizer, and garden hose should be grouped together for a gardening zone,” says Tim Keaton, Head of Brand and Product Marketing for Gladiator/GarageWorks. “And your golf clubs, soccer balls, and baseball bats should be kept together for a sporting zone.” Other logical zone groupings include holiday decorations, kids stuff, and a workshop area with space for a sturdy bench, plus pegboard or cabinets. Once you’ve determined what zones you’ll need, work logically to map out where they’ll be easiest to access. For instance, are there certain household items in the garage that you’re likely to need on a regular basis? If so, locate these items near the door so that retrieving them only requires a quick and painless trip. Garden equipment and the lawn mower, on the other hand, make more sense placed by the door leading to the yard. Meanwhile, stash seasonal items like holiday lights in higher, harder-to-reach spots. In fact, thinking vertical is key. “Look up and you’ll find a ton of wasted space,” says Keaton. “Using vertical space leads to creating more useable space. In addition to hanging rakes and tools, consider hanging up your bikes and wheelbarrow.” Hoists and overhead racks maximize space near the ceiling. Start by emptying out of the garage. Carefully carry everything out of the garage and lay it down in a staging area, either in an unused part of the home or on the lawn or driveway if clear skies are in the forecast. “Group things in categories,” right from the getgo, Smallin says. “All the garden tools together, for instance, or all the sporting goods.” Organization in taking out items will make it easier to create those zones when you bring your possessions back in. Broom clean the entire space, taking care to get all the leaves that may have blown in and any cobwebs that may have gathered in forgotten places. And, while you have a good view of it, consider whether the space could benefit from a fresh coat of paint (on the walls or the floor). 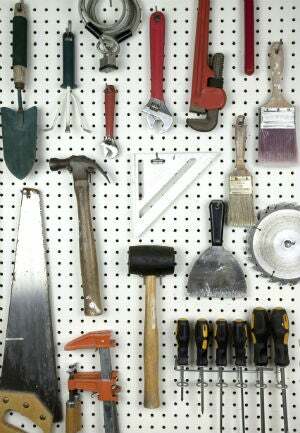 Cleaning day is a great time to check the condition and usefulness of the items stored in your garage. As you lift out each piece of equipment, toy, or tool, put aside anything that’s broken beyond repair or simply not needed anymore—it won’t be coming back into the garage. 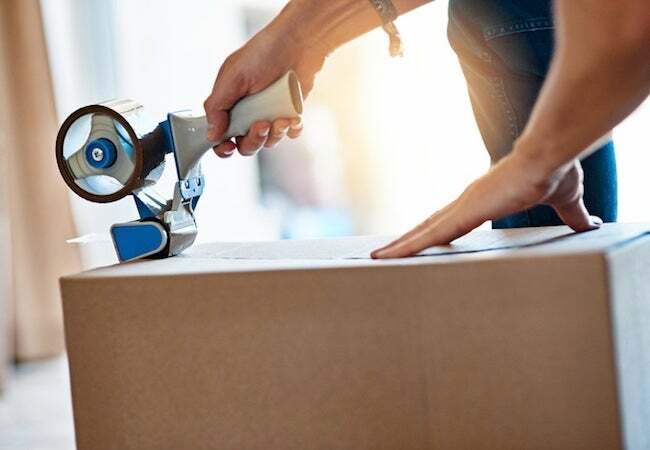 One rule of thumb: “Get rid of anything you haven’t used in the past year,” advises Erin Gentry, Associate Public Relations and Consumer Engagement Manager at Rubbermaid. Group those items you’re eliminating into four piles: toss, recycle, donate, or sell. 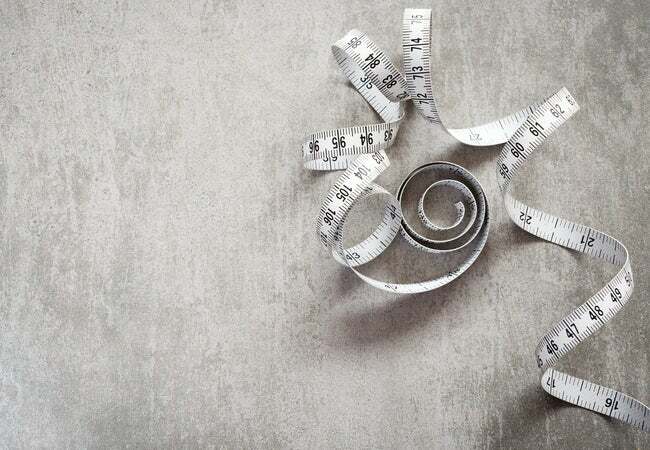 If parting with perfectly good items proves to be paralyzing, find motivation in a moneymaking garage sale or gain satisfaction from helping a favorite charity. People in your community may be interested in the things you no longer need. • earth911.org: Check here to find local recycling centers where you can safely dispose of paint and chemicals. • donationtown.org: Use this site to match your items with a local charity and arrange pickup. After you’ve winnowed down the contents of your garage, sort what’s left into groups. After all, items used together ought to be stored together—ideally in the zones planned during Step 1. Refer now to the gameplan you made in Step 1, and make lists of the type of storage you’d need to make it happen: two bins to corral sports equipment and three more for seasonal decorations, pegboard and hooks to hang gardening tools, metal shelving the height of the wall, and so on. • Plastic bins. One of the simplest and smartest garage storage ideas is to place like items into stackable, clear plastic containers with lids and labels. (Opaque bins work, too, as long as you detail specific contents on the label of each one—this saves time searching for items later.) These will keep your belongings clean, protect against insects and rodents, and increase the amount of usable floor space. Plus, clear bins create a uniformity among very diverse collections—toys, holiday decorations, home improvement supplies, and more—that in turn cuts down on visual clutter. • Open shelving. Stackable bins make great use of square footage. Even better than storing one on top of the other, though, is placing them one over the other on a set of sturdy shelves. The extra few inches of clearance above each bin provides easy access without having to first lift off three. Plus, depending on their construction and material (metal, plastic, wire, or wood), 12- or 16-inch-deep shelves are typically capable of holding the heavier items (unlike pegboard). • Ceiling-mounted racks. For infrequently used belongings, ceilings provide ideal, out-of-the-way storage space. Ladders and seasonal gear can be kept here, hung by clips or straps fastened to the joists. Or you can take advantage of hoist pulley systems, which cleverly operate like the cords on window blinds. Bear in mind, however, that ceiling storage must be oriented so that it doesn’t interfere with the operation of the garage door. • Closed cabinetry. 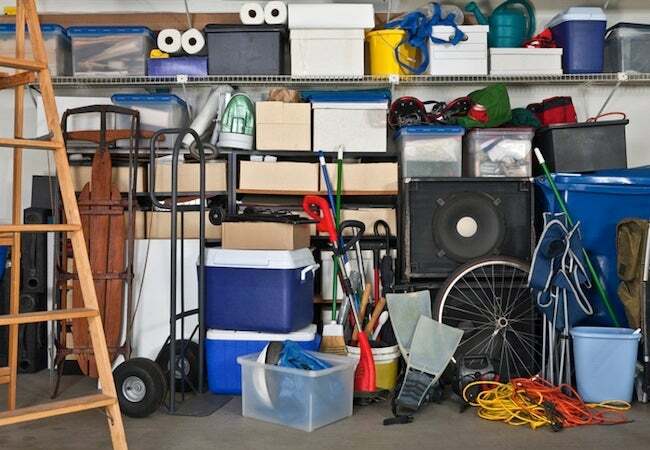 Even when organized so that you can find everything, collections half-used paint cans, garbage bags, lawn equipment, and backyard toys still appear jarring in the close quarters of your garage. Cabinets with doors are highly desirable because they can hide this chaos from view when you pass through the garage on the way to or from home. If you already have these, great! If not, keep in mind that cabinets—be they freestanding or wall-hung, with countless material and style options—tend to cost more than other solutions. Consider mixing-and-matching with another system from this list to both lower costs and successfully store even the bulkiest items. • Pegboard. If you’ve got a lot of ceiling height in your garage, use those tall walls wisely. Inexpensive and easy to install, this perforated hardboard has been a garage storage favorite for generations. By hanging and outfitting pegboard with a custom combination of compatible pegs, hooks, clamps, bins, and shelves, you can use this utilitarian method to store and organize just about anything of modest weight. Store paintbrushes and rollers, lawn and garden equipment, and the contents of your overstuffed toolbox out in plain sight and easy reach. • Panelized systems. Cover entire walls with specially designed panels by companies including GarageTek, Rubbermaid, Schulte, and Gladiator/GarageWorks and coordinate with any number of companion add-ons (e.g., hooks, bins, ball holders, cabinets, and shelves). Though these ultra-flexible panelized systems can handle heavy and awkwardly sized items, that sort of strength and utility comes at a cost, if you need to add new ones. • Wall hooks and hook racks. Hooks are inexpensive, easy to use, and available in all sizes for a variety of tasks. Unlike pegboard and wall systems, though, these wall-mounted options offer slightly less flexibility for how you can use vertical space. Certainly, individual hooks can be placed anywhere you really only need to keep a couple of items accessible: keys, scissors, garden hoses, or (if heavy-duty) bikes. 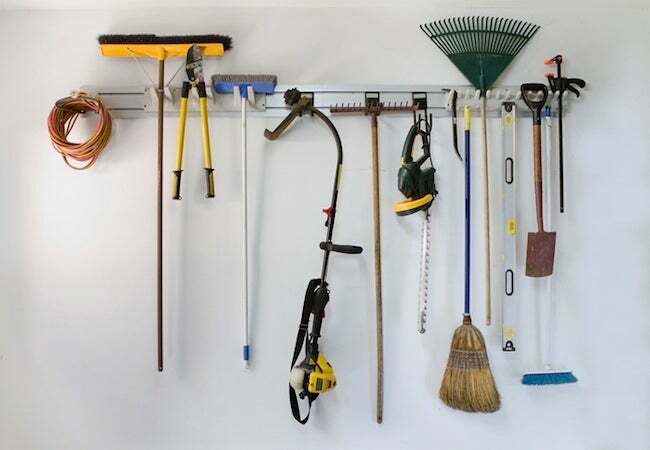 You can suspend even more items a hook rack, from tool belts to rakes and shovels with their business ends above the pegs. Still, configurations are limited. Short on bins or shelves? See one or two garage storage ideas on the list that seems a perfect addition to what you already own? Subtract your inventory from your wish list of solutions, and take the pared-down version shopping in the next step. Whatever smart organizational products you don’t have on hand, you can purchase with a quick trip to a local home improvement store—and, thanks to the inventory you made, in the exact amount you need. This strategy will ensure that you do not buy so much stuff that you and your overcrowded garage are back at square one. 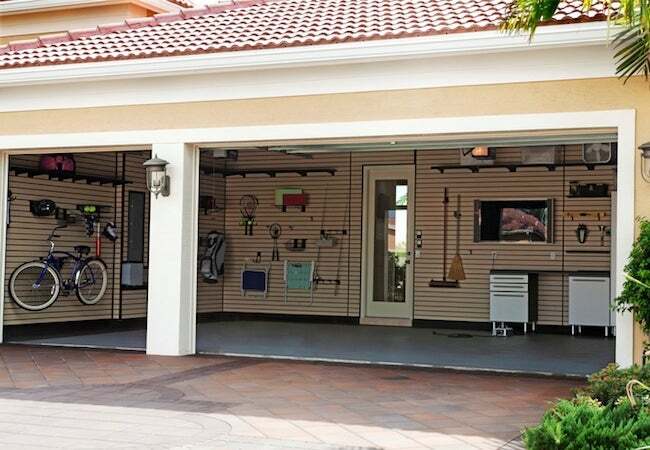 While there are lots of garage storage ideas—from hooks and chrome racks to customized, professionally installed systems priced in the thousands—organization hinges on consistency. As you pick out the last of your storage, choose cabinets and racks of the same color and type. Look for systems made of metal, plastic, or wood specifically treated for garage use. And remember that bigger is not always better. You need a garage storage system that will allow you to find your stuff and still leave room for the car. • Open shelving is a solid choice for bins and equipment alike. Invest in deep shelves for larger items like snow tires. Know that you’re picking a free-standing or wall-mounted model with the right weight limit for what you want to store. • Ensure cabinet choices serve both form and function. Tall cabinets with double doors are great, but be sure they come with enough adjustable shelves to optimize the space inside. Include at least one lockable cabinet to keep dangerous chemicals and power tools out of reach of children and pets. If you’re adding some low cabinets, consider putting them on casters for a flexible garage layout and even topping them with a durable work surface that you could use in projects. • Decide whether you want a professionally-mounted wall panel systems or a DIY alternative. This type of heavy-duty wall storage is a big spend, especially since some products require pro installation. To save money, consider models that use tracks or rails—these are easiest for do-it-yourselfers to install. 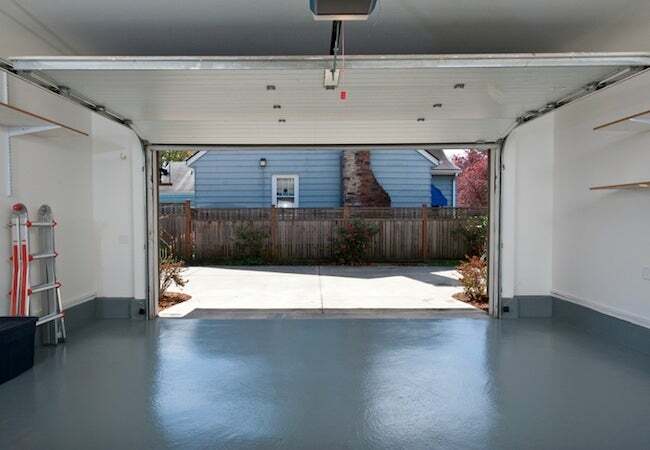 Whatever your decision, you won’t regret your investment when you see your payoff: By capitalizing on the wall space, you can fit more into your garage without sacrificing access. Puzzle-piece your garage storage solutions together according to the master plan and then reload. Remember: Group items by task and prioritize convenient access to those items used most often. With these principles in mind and your stash winnowed, you should be in great shape the next time you need to find…well, anything.